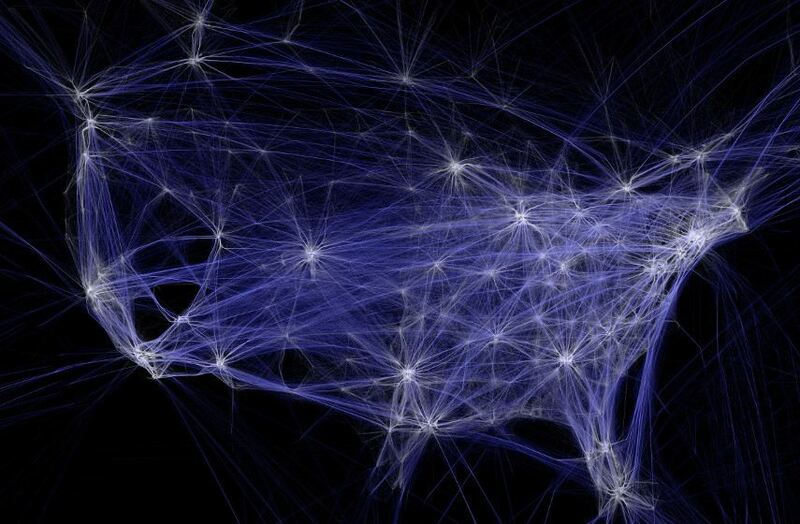 Aaron Koblin is a digital media artist who systematizes massive data and transfers it to more personal unities. He is a visionary when it comes to digital media and his brilliance is recognized worldwide. Buried in data, we continue to produce even more information every single day. How we distance ourselves from what we share, learn and create, is what inspired Aaron to establish more intimate relationships between man and the data he makes and uses. Observers are always the integral part of the artistic creation and it is more natural for the connection to be interactive. Everything we do changes something, and in the causal chain of events, every link has driving power. By getting in touch with aesthetic elements of creation we can make the world more wonderful. This Californian entrepreneur is a UCLA graduate, holding a diploma in Design and Media Arts MFA program. He was the Abramowitz Artist in Residence at MIT in 2010. Music, sound, light, words, codes are all instrumental compounds in Koblin’s creation. His work is part of permanent collection of the Museum of Modern Art (MoMA) in New York, the Victoria & Albert Museum (V&A) in London, and the Centre Pompidou in Paris. 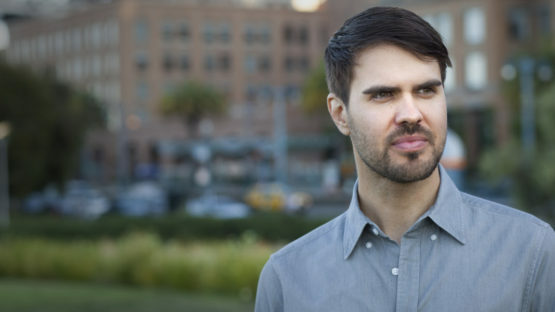 He received an Emmy in 2014 for his amazing work on Arcade Fire interactive video Just a Reflektor, while working for Google Creative Lab, where he created and lead Data Arts Team. He was Grammy nominee for Radiohead’s House of Cards video. Using the information we produce, Koblin makes a critical judgment of our cultural trends. New generations are getting more and more tech savvy and Koblin makes a point that we all grow more as we cooperate. 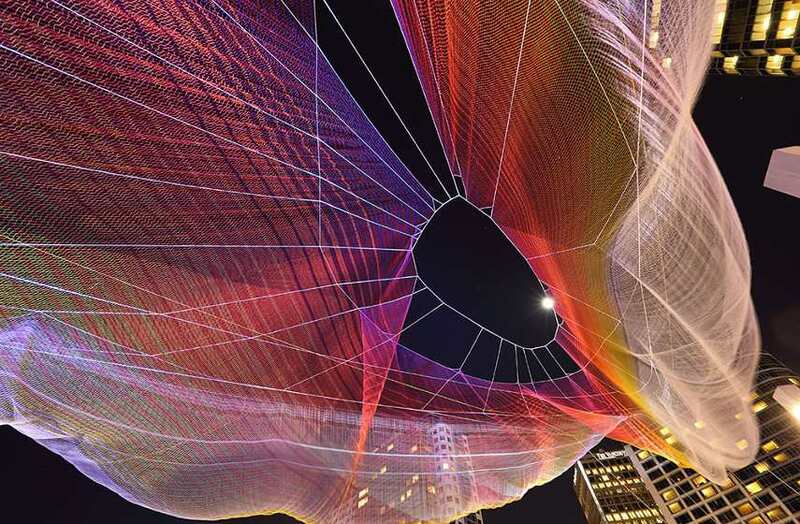 A collaboration with sculptor, Janet Echelman, that debuted at TED in 2014, called Unnumbered Sparks, is an epitome of Aaron’s amazing visualization work. They made a giant sculpture in the sky, using about 160,000 lumens of light. Koblin made this colossal sculpture as a big Google Chrome window spread on five high-definition projectors. It’s a giant website, and while standing under the colorful and vivid field of light visitors could use their mobile phones and participate in making this beautiful creation. The changing never stops, and by swiping and tapping their smartphone screens, participants changed lights in the sky. Metaphorically, this is what we do – we shape cultural trends we make, and we don’t alienate from the data around us. The sky is not the limit, it’s an artistic canvas. Unique energy and desire to build up better relationships between man and technology is everpresent in the works of Aaron Koblin. His entrepreneurial skills found their place in tech labs, in museums, in the music industry. Fully aware of our need to bond with each other, Koblin uses his design and video projects to bring people together. Underneath his sculptures people were talking to each other, making new friends, sharing their experience. Aaron is a real idea generator, completely fearless in his stance on technology, he uses what distances people to bring them closer. Nothing is finite, everything is open to a change. We grow, we develop, we continue to exist beyond our physical bodies. Pieces of us are in the information we share, the music we listen to, lyrics we relate to. For his collaborative Johnny Cash project, Koblin was inspired how music continues to live through its listeners. The artist legacy never dies, and the sentiment it provokes continuously flows in the hearts of the fans. He is represented by Gazzeli Art House, London. Aaron Koblin lives and works in California, US.